Newly-formulated, dual-phase lotion — with soothing organic plant extracts — instantly removes heavy or waterproof eye make-up, without leaving a trace of residue. Ophthalmologist-tested to be gentle enough for the most sensitive eyes, including contact lens-wearers. Rated 5 out of 5 by Freckleface from Gentle on eyes with issues I bought a bottle about five weeks ago and am 3/4 done. The bottle was expensive, so I bought a bottle of Bioderma Sensibio miscellar water last week to try it out next. Side by side the Clarins won by a mile. Absolutely killed it. One hold/swipe and 90% of my makeup was simply gone. It leaves a gentle, slippery moisturizing feel behind, which is greatly reduced by a second swipe. The micellar water required multiple swipes and to my surprise actual pressure to remove regular mascara, leaving my skin visibly reddened. I didn’t realize how nice the Clarins was being to my eyes till that moment. I have dry, sensitive skin that breaks out easily and reddens. 3x/year a painful keratitis affects one or both of my corneas and - I cant even - it just hurts and there’s lots of drops involved. What’s a girl to do. (Get better products and test, test test.) I wear cream shadow, liner and regular mascara. My eyes are better after using Clarins than anything. In fact they’re silky and moisturized, without redness. I use it daily. Because the solution separates naturally, you must shake the bottle gently to mix, wet a cotton pad (don’t be a YouTuber here, just a medium amount will do), and hold gently against your eye for a few seconds. Honestly even 5-10 secs does it. In two swipes it’s all gone. I’ve even used it to correct an eyeshadow experiment gone wrong after I already had my face makeup done and set. It did the job like a pro and I wasn’t even late to work. So yeah. I’m now spoiled. Sign me up. Rated 4 out of 5 by CynHe from I have always struggled to find a liquid/oil based eye remover since they make my eyes to itch. This is the best I have found, however I still use a cheap cream at my local drugstore for most nights. Rated 5 out of 5 by Ophelia from Instant results This eye makeup remover does what it says. It instantly removes all eye makeup with little effort. Also, removes eye makeup with just a little product. Rated 4 out of 5 by Ceci from I like it ....but I like the product... but The bottle is small for the price and I have to use double amount of it compared to Lancome. I like that It does not let my eyelids oily . 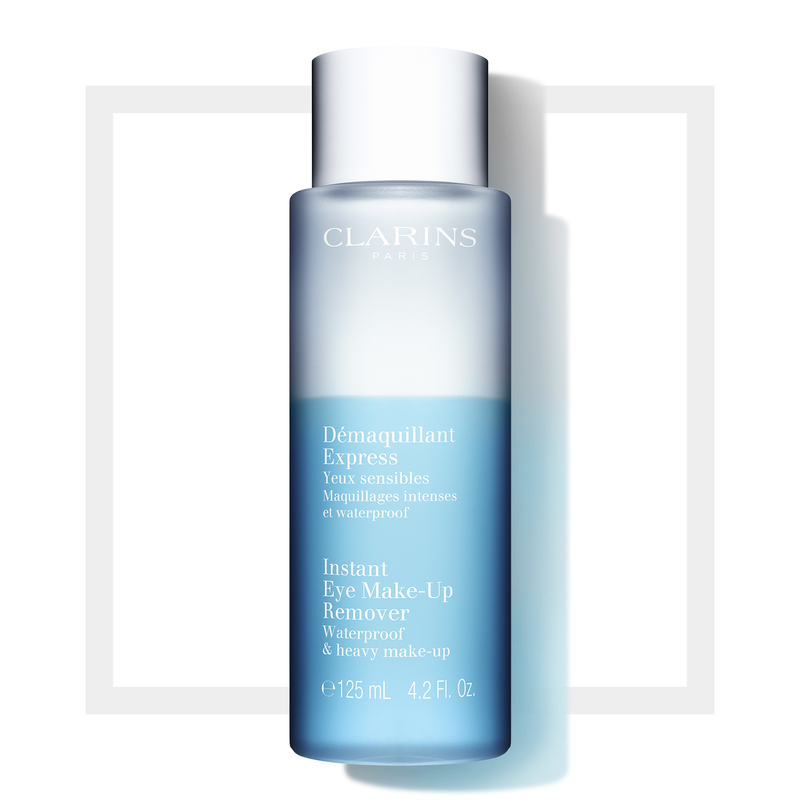 Rated 5 out of 5 by Clarinsfanforlife from Best eye makeup remover ever! Removes even the most stubborn makeup easily. Rated 5 out of 5 by judy78 from the remove all my make up easy, is very gentle to my eyes, love this product was given to me by a friend.